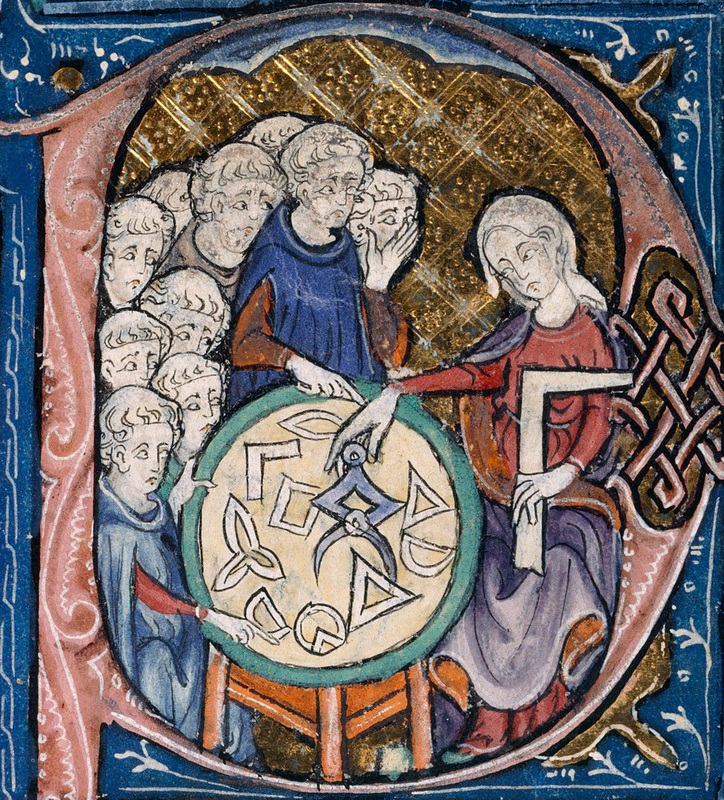 Don’t worry, this isn’t really a woman teaching men about geometry in the 14th century. She is merely the idealized personification of geometry — not a real woman. So it’s okay. 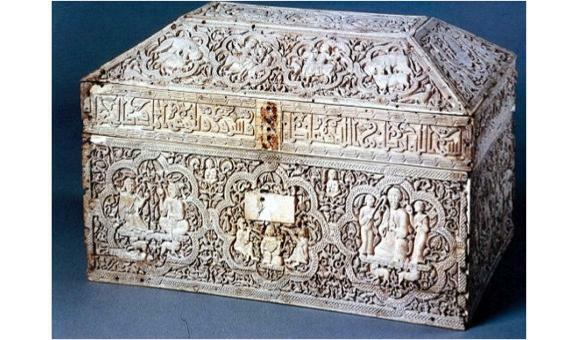 I was quite stuck today in class when I saw the the ivory casket of Abd al-Malik. 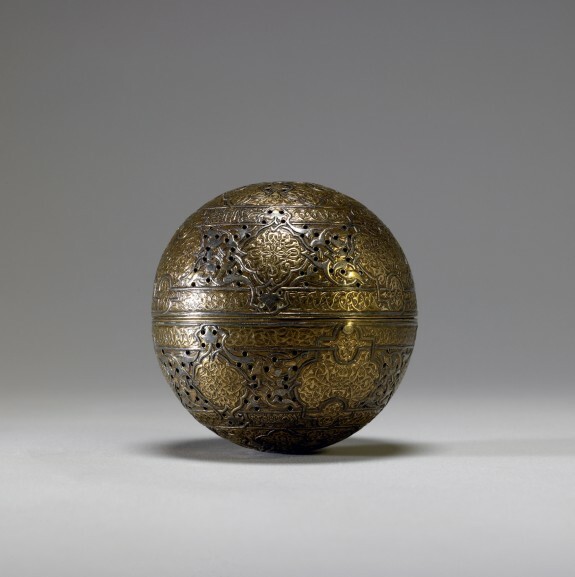 I was reminded immediately of the Limoges enamel reliquary casket form. Looking into it a little more this evening I found the last image below where an Muslim made casket has had Christian enamel added. 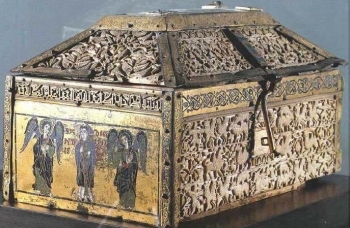 Leyre Casket, Cordoba, c. 1005. 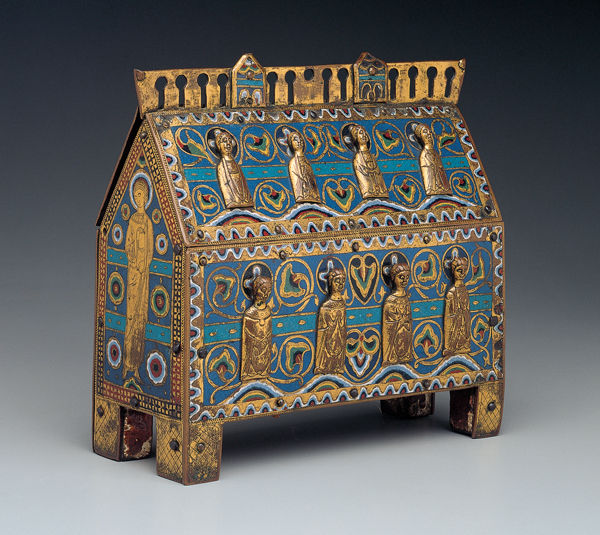 Ivory casket with enamel decoration from Santo Domingo de Silos. Spain. 1026. 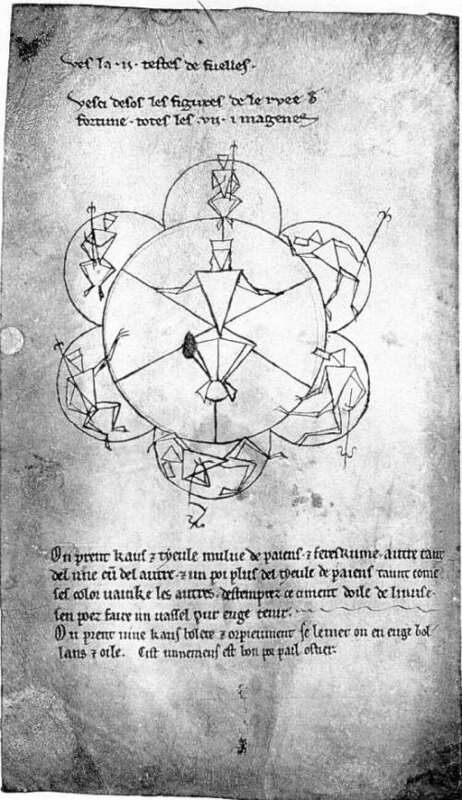 Honnecourt’s portfolio contains many splendors but I’ve always been particularly fond of this humble little sketch. 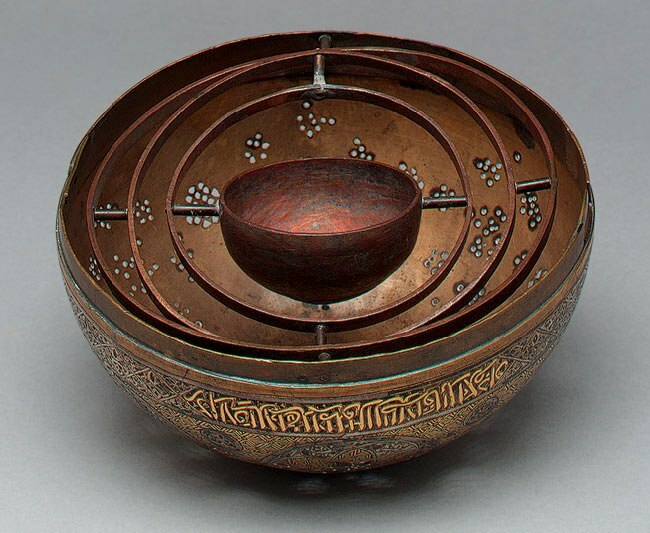 It looks medieval, but I can find no additional information on this odd image reblogged from The Scent of Night.